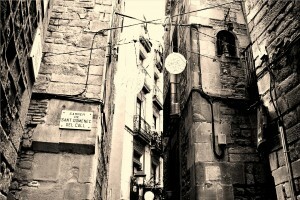 Wandering through the bustling heart of Barcelona, along las Ramblas and down its mysterious side streets, past all the delicious offerings of tapas, and peering into the tempting storefronts, most travelers have no idea they are passing by one of the most fascinating and historic sections of the city. 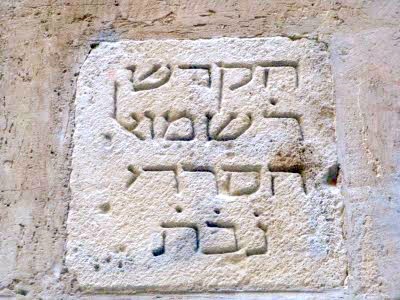 El Call is the ancient Jewish Quarter of the Catalan capital, where ancient Hebrew street signs and engravings, secret Jewish baths, and the oldest synagogue in Europe await. 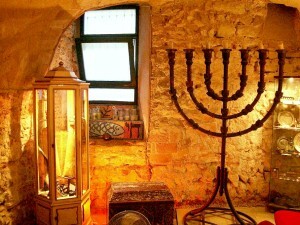 This living piece of Jewish history is unbeknownst to many of Barcelona’s visitors, and it is well worth the visit – but be careful! Blink, and you might miss it. Like many of the world’s most fascinating cities, the Catalan capital has had its share of dark times. Perhaps one of the most dramatic and destructive is that of the expulsion of the Jewish community, once the biggest and most important in Catalonia. It is said that Jewish people had lived in Catalonia since the Roman period, and up until the traumatic Spanish Inquisition in 1391 their culture had been flourishing. 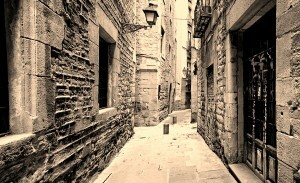 The cultural center of the Jewish people was known as El Call (probably from the Hebrew ‘Kahal’ or ‘Kehilla’ meaning community), an area in the Barri Gòtic which today resides between Las Ramblas, Plaça Sant Jaume, and Barcelona Cathedral. However a terrible massacre of the Jewish people in August of 1391 caused both a mass exodus from the city, as well as many Jews being forced to convert to Christianity. From that point on, Jewish public life disappeared from the city, and it wasn’t until hundreds of years later in the 19th century that Jewish people started to return to Barcelona. One of the most fascinating places in El Call is the Sinagoga Major de Barcelona. 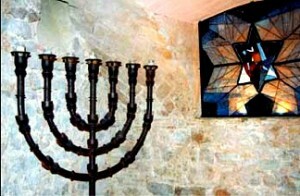 Once the city’s main synagogue, it is located on Carrer de Marlet 5, in the heart of the Jewish neighborhood. Sinagoga Major has ancient foundations – literally. Its foundation was laid by the Romans, and it is said that the building has stood in some shape or form since the 5th century. 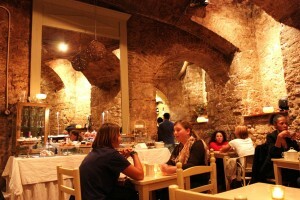 Along with Rome’s Ostia synagogue it is said to be one of the oldest in Europe. Although it is believed that four synagogues existed in Barcelona until the 14th century, the ‘Major’ is the only one whose true past has been uncovered. A research project on the Jewish history of Barcelona revealed the origins of this then forgotten building. After the expulsion of the Jews, the building was used as everything from a store room, to an apartment building, with housing added on top of the synagogue in the 17th century. These random additions and transformations of the building however only add to its charm and intrigue today. 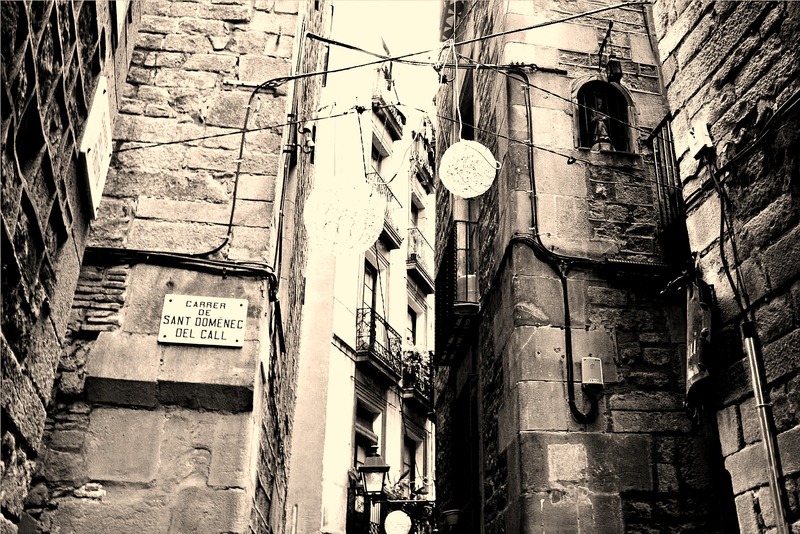 So, if you’re looking to discover the true history of Barcelona, take a peek at the secret yet captivating El Call – you may be surprised at what you find. This entry was posted in Home, Neighborhoods, Tourist Guide and tagged areas in barcelona, barcelona activities, barcelona architecture, barcelona attractions, Barcelona culture, barcelona neighborhoods, barcelona tourist guide, el barri gòtic barcelona, el call barcelona, gothic quarter barcelona, history of barcelona, jewish history barcelona, synagogue barcelona, things to do in barcelona, tourism in barcelona, visiting barcelona. Bookmark the permalink. We are four adults who will be in Barcelona from 6-20-17 through 6-24-17. We are interested in touring both general and Jewish sites and learning about the Jewish community past and present in that city. Please respond with tour options and prices.